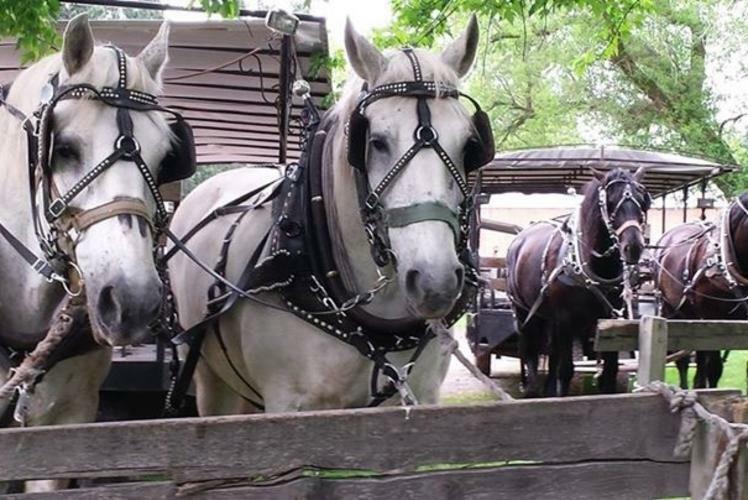 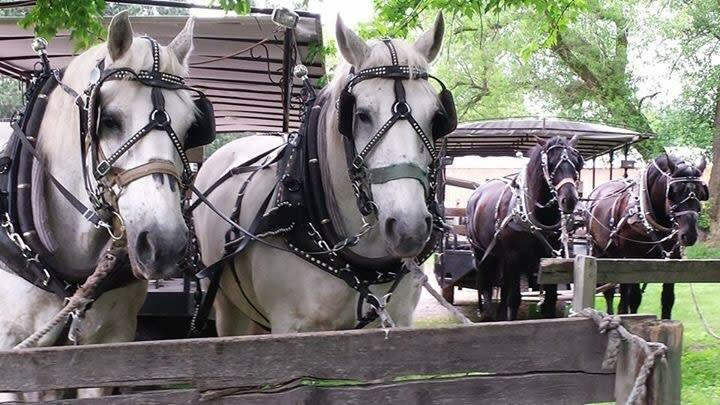 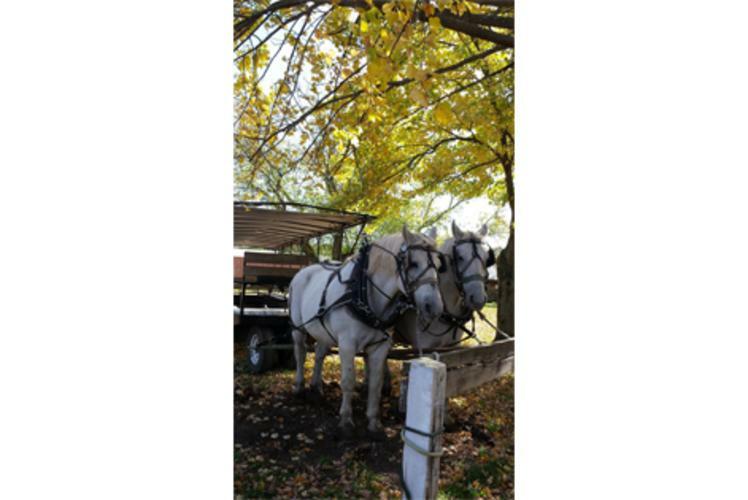 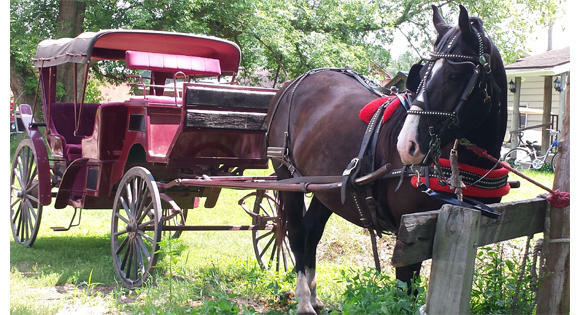 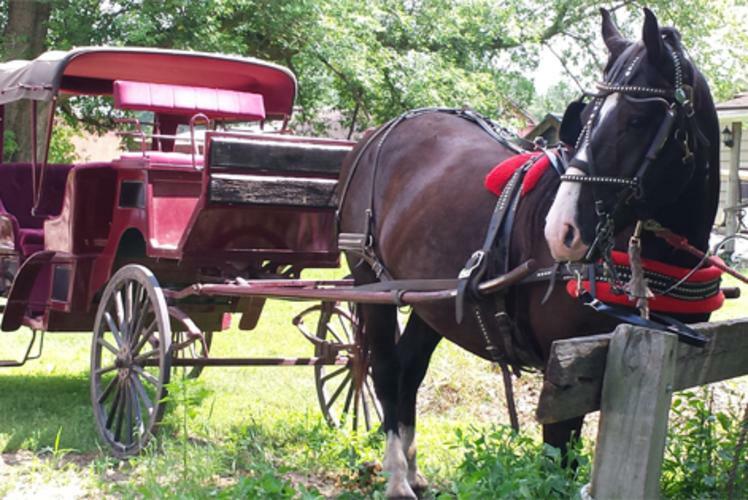 Percheron draft horses take guests by wagon or sleigh through 440 acres of our century ag-tourism farm. 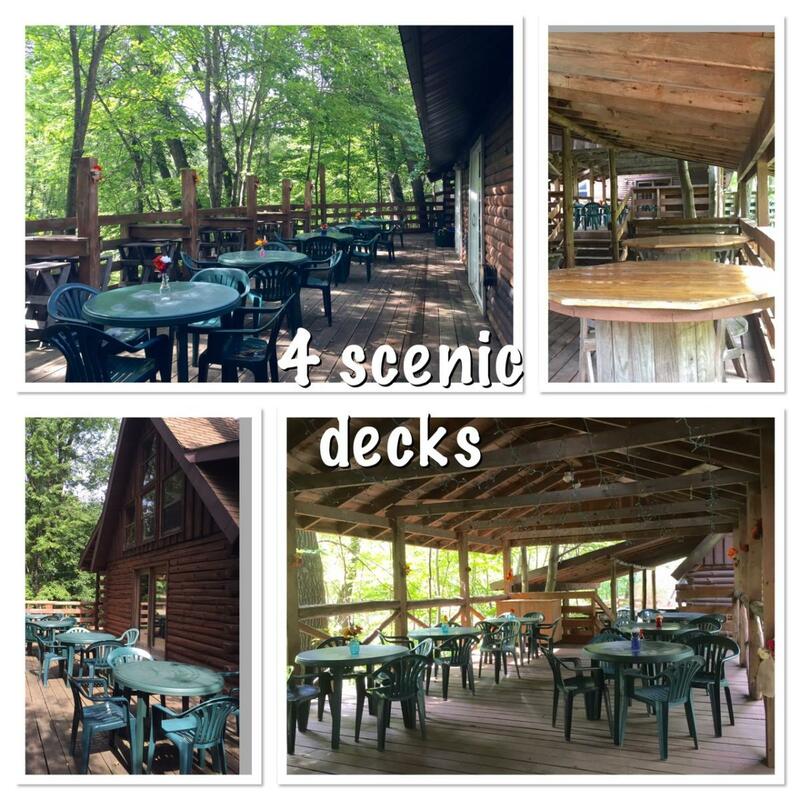 Pavilions and two gas light log cabins nestled in the woods over looking Paint Creek provide year around bonfire fun or catered private parties. 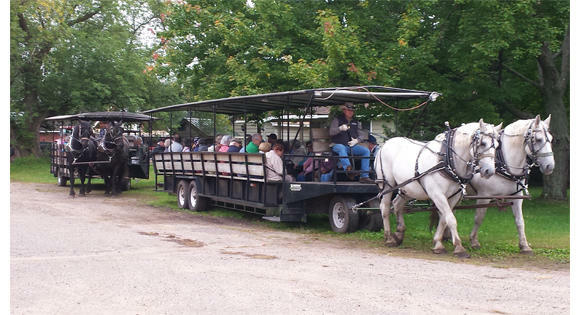 Activities can be designed for groups of 2 to 250. 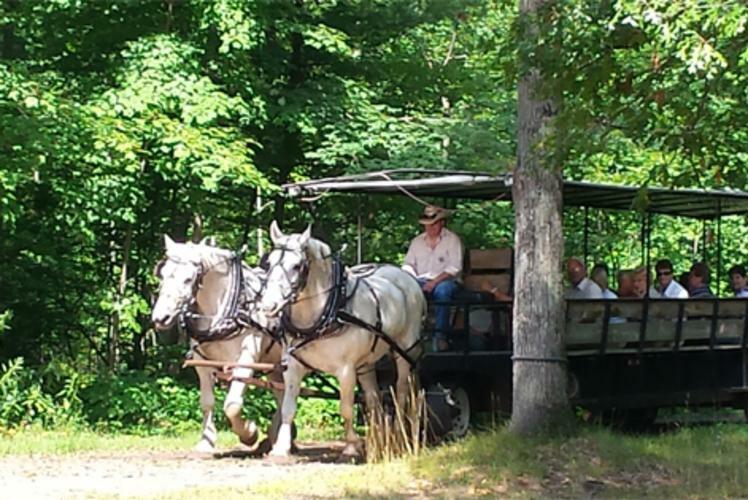 Cabin Ridge Rides is the perfect addition to a motor coach itinerary. 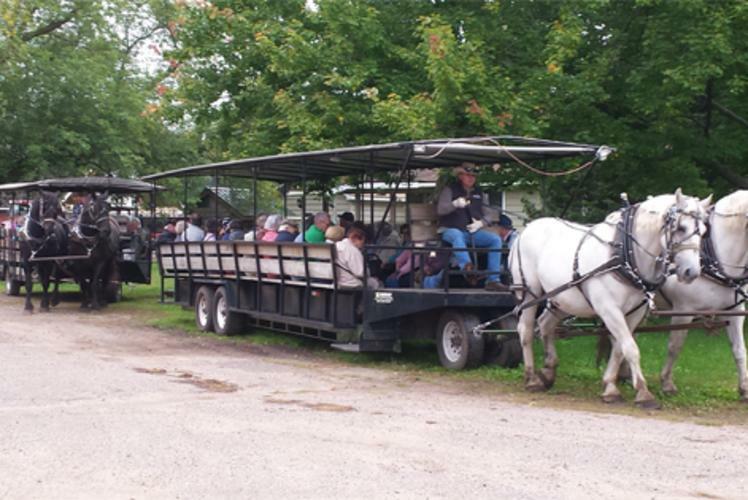 Guests from all over the world have enjoyed the ride through the woods to the cabin, catered meals and entertainment. 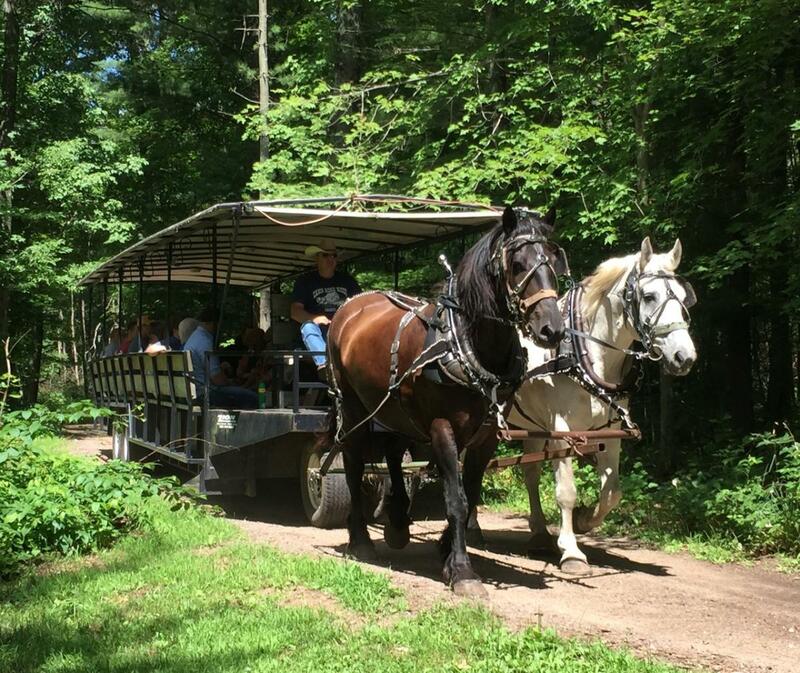 Our staff will help you make the trip fun for your guests. 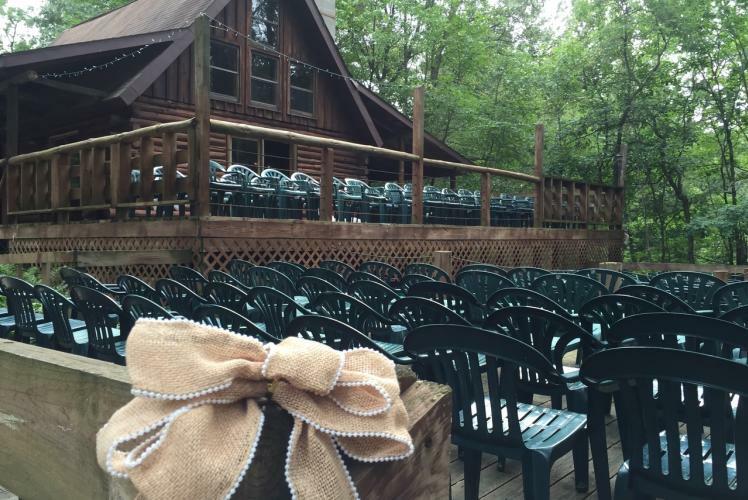 After a full day of convention meetings and learning, Cabin Ridge is the perfect getaway for socializing and relaxing. 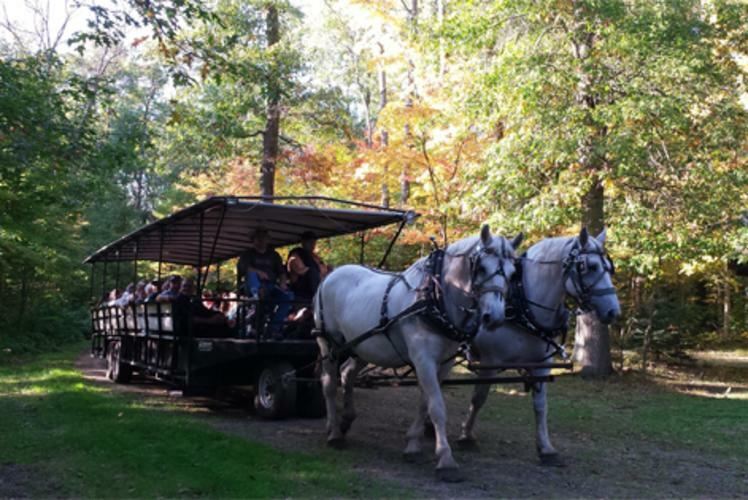 Let their staff assist you in planning an evening that participants will remember for years and years. 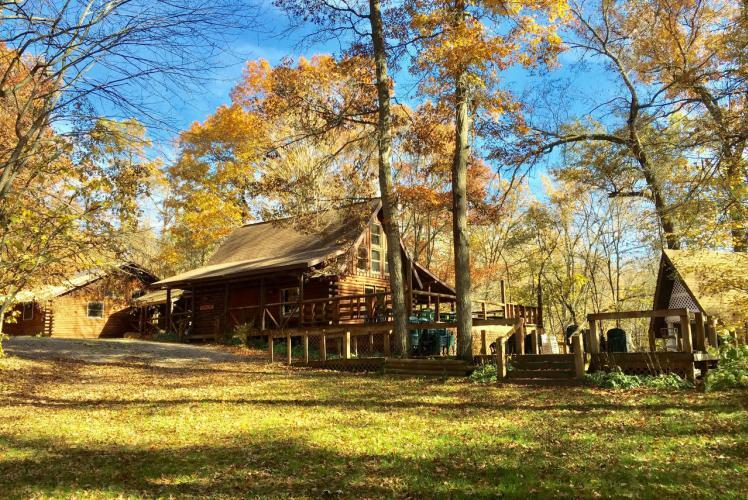 Cabin Ridge, with its secluded location, is ideal for an unplugged meeting. 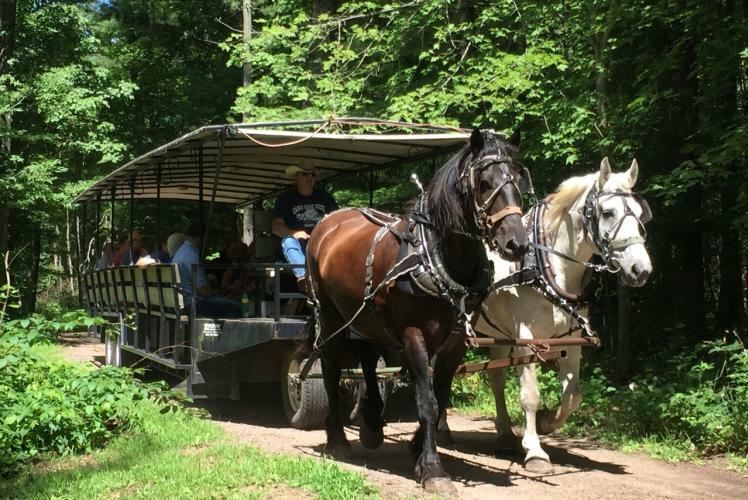 The quiet of nature surrounding you makes for productive work time and solutions. 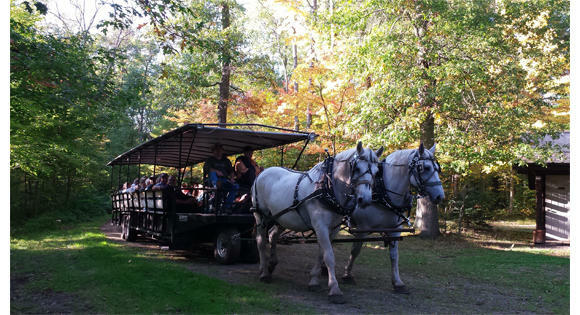 Weddings are unique at Cabin Ridge with guests taking a horse drawn ride into the woods to the outdoor wedding chapel. 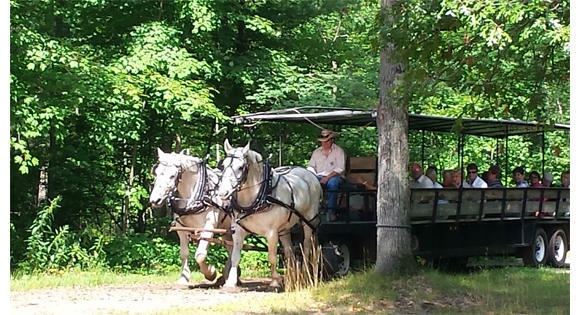 Our 100 year old bell echoes through the woods announcing the arrival of the bride. 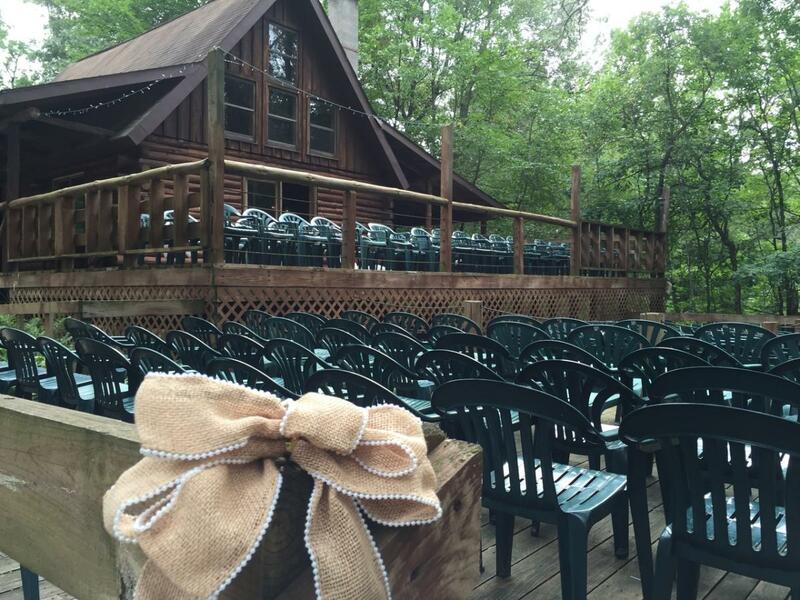 The reception area is located next to the chapel. 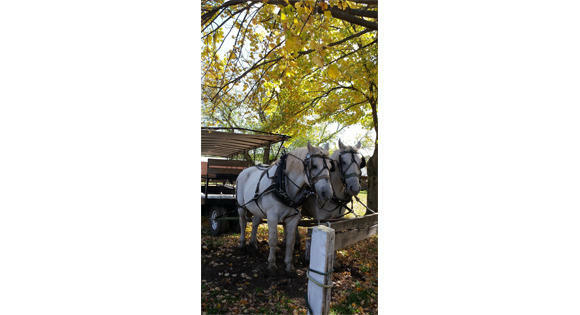 The wedding carriage provides the perfect touch for a special wedding. 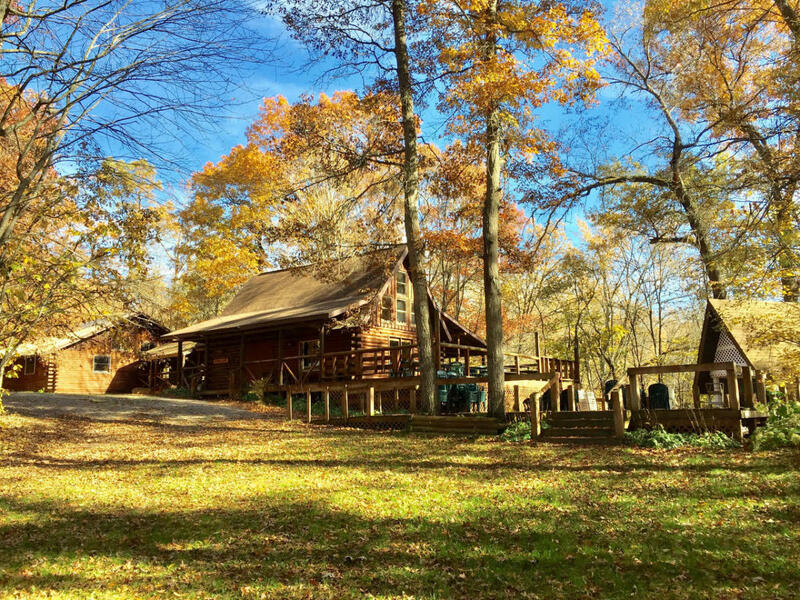 Cabin Ridge is handicapped accessible. 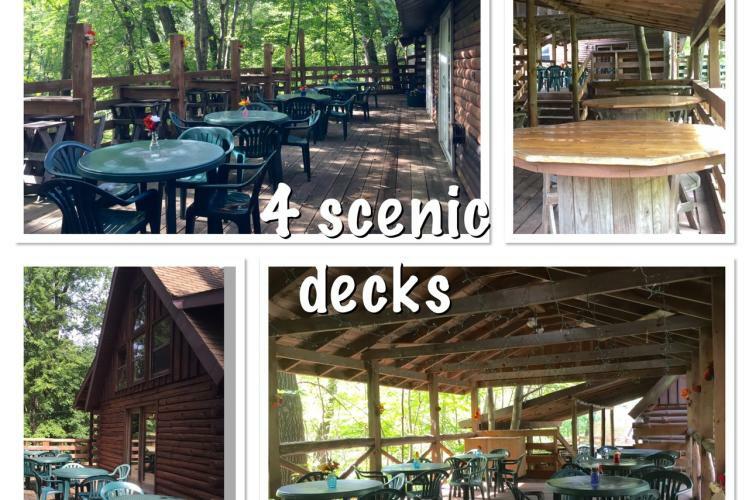 Reservations are needed.